Ice-T didn’t shoot ME in the face, but maybe some other person? 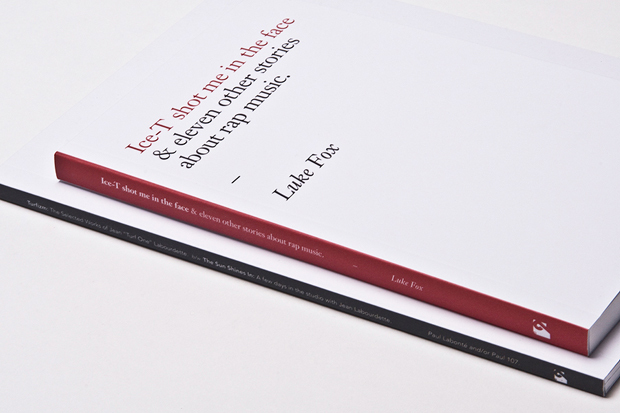 Luke Fox loves rap music, and the questions he asks of rappers in interviews reflect that passion for the music. He’s not interested in idoltry, he just digs the tunes. As such, his new book Ice-T Shot Me In The Face looks at the music and the connections between hip-hop’s past and present. He talks to the big guns — Jay-Z, Kanye, Common — but at the end of the day, the music is what matters. Seems to me that this is a must-read for any rap fan. The illustrations look pretty great too. You can buy Ice-T Shot Me In The Face online from Sometimes. If you’d rather pick it up in person, check out Off The Hook in Montreal, TYPE in Toronto, or Boundless in NYC.